I have always been a huge fan of Himalaya Neem Face Pack. It is one of the best face packs for oily, acne prone skin. Though I have oily, acne prone but I love trying face packs that are meant for normal or dry skin just to pamper my skin. I love fruit face packs and when I saw this face pack from Himalaya I immediately grabbed it for me. Today I am going to discuss my experience with Himalaya Herbals Refreshing Fruit Pack. 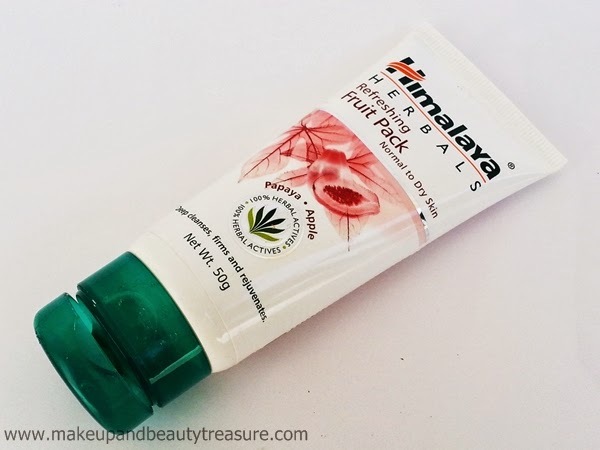 Himalaya Refreshing Fruit Face Pack comes in a sturdy, opaque white tube with a dark green flip top lid. 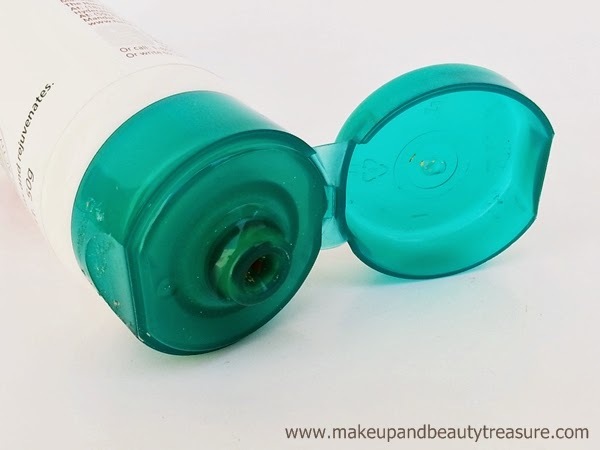 The lid is quite tight and the tube can be securely carried around in a handbag without any fear of it being opened and creating a mess. The face pack is light yellow in color with a lovely fruity scent. The scent is mild and relaxing. The texture of the face pack is soft and smooth with creamy consistency. It is a ready to use mask and can be used directly from the tube. It is easy to apply and totally mess free. 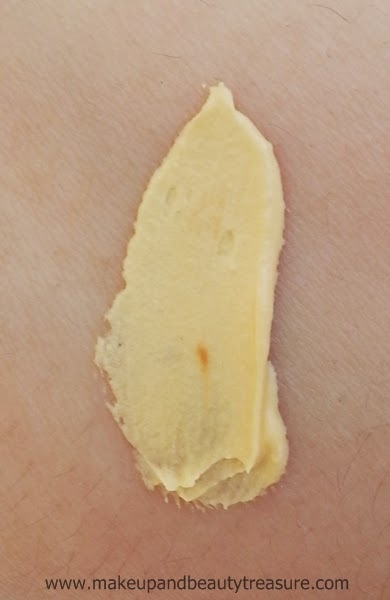 It spreads easily across my slightly damp skin without tugging. I always make sure to wash my face with a face wash to remove all dirt and grime off the face. I apply only a thin layer of face pack and it works pretty well on my oily skin (I used it in winters too when my skin was dry and I loved using it twice a week to keep my skin healthy!). I then let it sit on my skin for about 10-15 minutes. It does give a mild tingling sensation though not overly that it causes any uneasiness. It does not harden or tighten the skin. It is easy to remove and gets washed off easily with water and does not leave any residue behind. The scent lingers with me for about half an hour. My skin instantly feels soft, smooth, supple and bright. Although I do not suffer from blackheads but it does help in keeping the skin clean and supple. I had used it regularly like twice a week when my skin was dry and I was impressed by the pleasing results it gives. My skin had never felt so soft and healthy. Now when my skin is oily, I like using it once a month just to pamper my skin and make it feel soft and supple. It makes my skin bright and clear which I do expect from my skincare products. It does not dry out the skin and I do not feel the immediate urge to moisturize my skin. I have not faced any adverse effects whilst using it but since it causes mild tingling sensation it might not suit extremely sensitive skin. 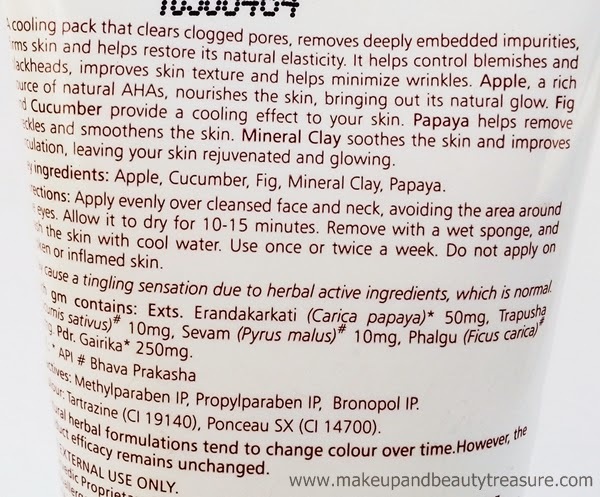 The face pack contains all the natural ingredients like apple, papaya, fig, mineral clay and cucumber. • Ready to use face pack. • Although it is meant for normal to dry skin but it works well for oily skin as well. • My skin feels soft, smooth, supple and bright. • Makes skin clear and healthy. • Causes mild tingling sensation so might not suit sensitive skin. 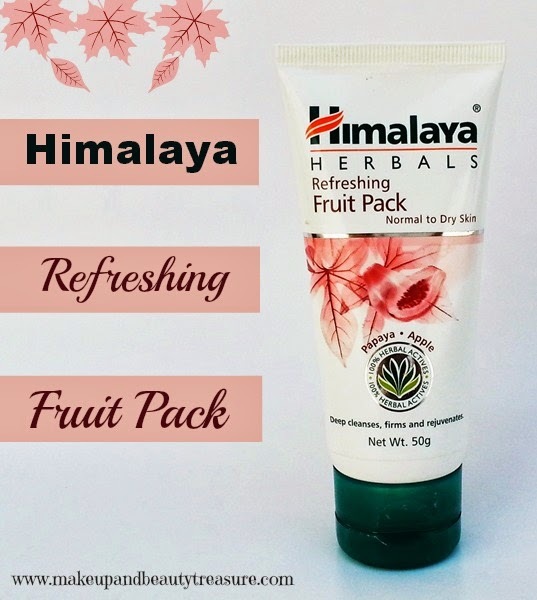 Himalaya Herbals Refreshing Fruit Face Pack is a great herbal face pack that is good for dry skin. It makes skin soft, smooth, supple and radiant. I also use it on my oily skin and I love the pleasing effects it gives. It pampers my skin without breaking it out. I would definitely recommend it to everyone who loves pampering their skin! Have you tried Himalaya Herbals Refreshing Fruit Face Pack? How was your experience? Share in the comments section below!